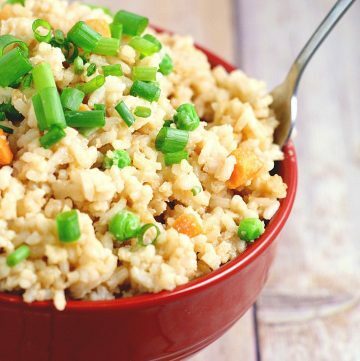 Learn how to make homemade Fried Rice at home! With classic flavors like Teriyaki sauce and garlic, there’s no need to order out! As good as the real thing! No need to order out tonight! 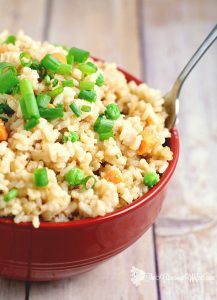 Just learn how to make fried rice in your very own home with this easy homemade fried rice recipe! 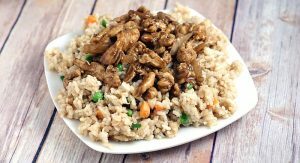 I love to serve this Homemade Fried Rice with my Easy Chicken Teriyaki on top! 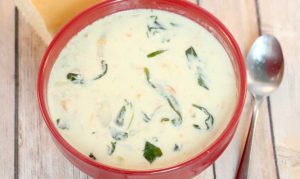 It’s so yummy, and the kids love it too. There’s never any leftovers! Take-out right at home! 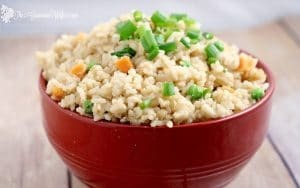 Learn how to make homemade Fried Rice at home! With classic flavors like Teriyaki sauce and garlic, there's no need to order out! As good as the real thing! In a LARGE skillet, heat your oil over medium heat. Add your garlic, and saute until it turns a golden brown. Add your rice, peas and carrots, and teriyaki sauce. Turn your heat up to high, and stir fry for 5-7 minutes. Add eggs and continue stir frying. Season with salt and pepper, and serve with this yummy Chicken Teriyaki Recipe! 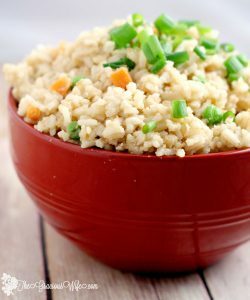 Did you like this Homemade Fried Rice Recipe? Find more on my Salads & Side Dishes and Dinner Ideas boards on Pinterest! My husband is excited. 🙂 He wants me to do this recipe. Thanks for sharing. I’ve pinned this. This is one of my most fav meals! Love your take on it 🙂 Glad to find you today at the Embracing Change Link Up!